Chatter is the natural part of Salesforce that allows your employees to all collaborate with one another. The free version of it lets up to 5,000 employees all talk to one another. Here are a few tips and tricks that can help you use Salesforce Chatter effectively. This is a native tool for Salesforce that you can install for free from the Salesforce app exchange. You can get 20 different dashboard components to get a complete sense of what’s happening in Chatter. There are 25 different reports and even seven custom report types so you can make reports on Chatter the way you want them. This tool allows you to create limits for Salesforce Chatter in order to cut down on useless communication through the tool. You can set notifications with the tool, and even manage rules for particular groups. The tool has a small fee per month for use. The tool claims that the return on investment happens within a single week of using it. You can make it so new users automatically follow certain conversations. You can also create rules such as closing opportunities that have been finished for 30 days without any new developments. There are bulk automation tools for making sure none of the most important chatter messages are missed by employees as well. This is another native tool for Salesforce which is free. Once you install it, you can add challenges to incentivize sales teams on your account to work together for a group goal. 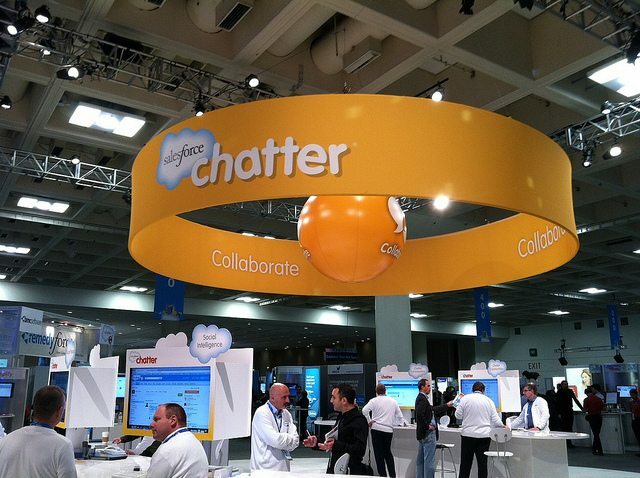 For more information on using all aspects of Salesforce Chatter, please contact us today.